Reduce, Recycle, Reuse. 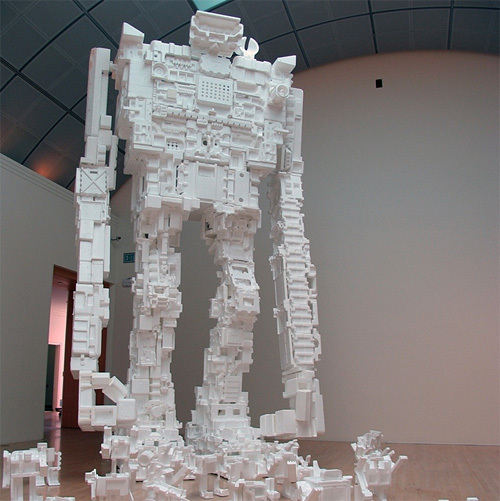 Attack of the Giant Styrofoam Robot. I stopped by my old friend Ziba the other day and as I entered the lobby was greeted by their newest “employee”, a giant styrofoam robot. Also known as a styrobot, it was commissioned for the space and created by Michael Salter (check out his work online). Welcome styrobot! This is a styrobot on display in San Jose. Ziba is under pretty tight wraps so I couldn't get a personal photo of their robot.